Weymouth & Portland, Dorchester, Bridport, Beaminster, Axminster, Lyme Regis, Sturminster Newton, Sherborne, Shaftesbury, Gillingham, Yeovil, Wool, Wareham and Blandford, Poole & Bournemouth. Full Steam Extraction Cleaning / Deodorising & Sanitising. We have over 25 years cleaning experience. You can be safe in the knowledge that we are fully qualified & competent to work on any carpet or textile in your house. 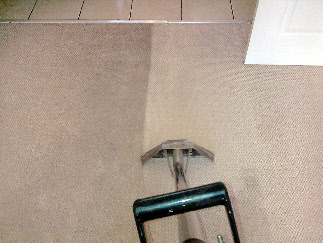 – We don’t just use one system like many carpet cleaning companies but have a choice of Steam Extraction, Low Moisture, Ultra Low Moisture & Dry Cleaning. This ensures we always have the right process for each particular job ! – We will always come and survey first if you require it & see what the best system is for your home & carpets, we pride ourselves in tailoring our service to fit your needs, giving you the result you desire. Our professional carpet & upholstery cleaning services for your home or business are based on much experience in dealing with clients in residential and business environments. We always ensure a professional and caring approach to each job, whether large or small. We have invested heavily in professional equipment & training to provide the best quality service to our clients. A full survey & inspection is always carried out prior to commencing any cleaning. 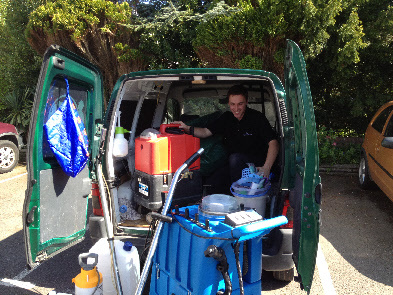 Cleaning technician Simon Chapman with fully equipped van. 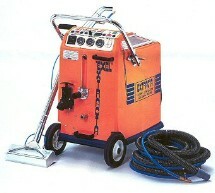 Hot Water Extraction machine, Guaranteed to give a perfect clean & deodorise every time ! This cleans deep down into the pile. This beast will clean all day every day, totally self contained & self sufficient. 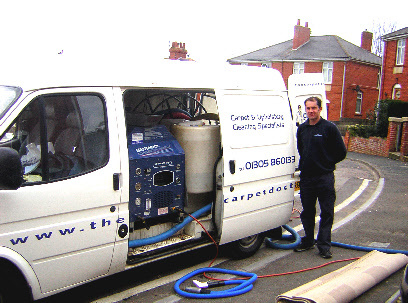 Our Vans are equipped with modern machinery and fully stocked with cleaning solutions and spotters to tackle any cleaning situation, whether carpets, rugs or upholstery wherever you are in Dorset. 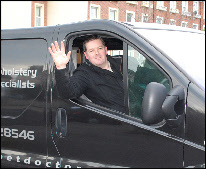 We regulary visit Weymouth, Dorchester, Portland, Bridport and Yeovil & Blandford & Poole, if you want us to pop in and give you a quote. – Phone and just ask for Steve. 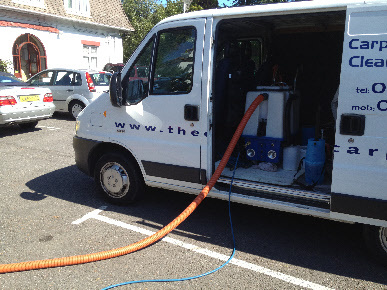 The Scorpion van mounted extraction machine in action, all fully self contained in the Peugeot Boxer. Josh with his Berlingo, absolutely crammed full of cleaning goodies to make sure your cleaning experience is the best you’ve ever had. We have a Van & machine suitable for any cleaning situation, whether you need fully van mounted or flexible portable, we can help !